Crystal Palace defender Mamadou Sakho's season may be over after he was forced to endure a knee operation. Eagles boss Roy Hodgson accepts that Sakho's absence is a major blow for his side after the former Liverpool player sustained the injury during last weekend's victory at Leicester City. Sakho has formed an excellent central defensive partnership with James Tomkins this season and was badly missed on Wednesday in the 3-1 home loss to Manchester United. Either Scott Dann or Martin Kelly will replace Sakho for Saturday's fixture at Burnley, which Palace are 13/8 to win. 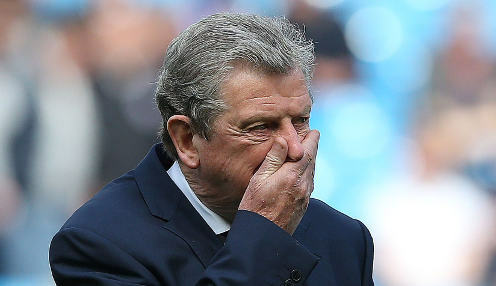 Hodgson's side are also available at 9/4 to keep a clean sheet at Turf Moor. The veteran Palace boss said: "We are going to miss him [Sakho] until such time as he gets fit again. There's no question of that. "He has been very, very good for the bulk of the time I've been here. When I first came he was shrugging off some injuries but, since he got fit, he has been exceptional, the latter half of last season and the whole of this season. "Him and James Tomkins together have formed a fantastic partnership. There's no way you can lose a player like that without missing him, but I'm fortunate that in Scott Dann and Martin Kelly there are two experienced Premier League players (capable of deputising). "The most important thing was the surgery was successful. There's no timescale being put on that, but obviously it's a surgical operation, so he's not going to be coming back next week."